The recent adoption of the proposal for a Directive of the European Parliament and of the Council on collective management of copyright and related rights and multi-territorial licensing of rights in musical works for online uses in the internal market marks a significant point in the process of establishing an efficient framework for the administration of copyright in the internal market. Efforts towards harmonisation of the rules governing copyright collecting societies have been relentlessly produced for the past four decades. It can therefore be submitted that the Directive epitomises how regulation affecting collective management has developed, and presents stakeholders with an agreed framework which could enhance legitimate online uses of music. This presentation will review the key aspects of the Directive and address the question of whether this new piece of legislation is likely to fulfil the relevant socio-economic goals in relation to the markets involved. Dr Maria Mercedes Frabboni is a lecturer at the Law School of the University of Sussex, where she teaches intellectual property law in undergraduate and postgraduate programmes. Her research interests and expertise lie particularly in the field of copyright and cultural policies. Maria Mercedes has commented extensively on the legal and economic implications of policies and reforms concerning the management of copyright by collecting societies. Prior to her current role, Maria Mercedes held the position of AHRC Research Fellow at the Centre for Commercial Law Studies (Queen Mary, University of London), where she conducted a study on the regulation of non-attributable or abandoned visual art, as expressed by traditional and digital media, within the context of legal, business and customary practices. 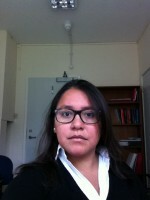 Maria Mercedes is a Visiting Lecturer at Queen Mary. Maria Mercedes is a member of the British Literary and Artistic Copyright Association (BLACA), the UK national group of the International Literary and Artistic Association (ALAI). She is also a member of the Society of Legal Scholars (SLS). She regularly speaks at training courses organised by the British Copyright Council, the Centre d'Études Internationales de la Propriété Intellectuelle (Strasbourg) and the World Intellectual Property Organization. She is also involved in the activities of the European Intellectual Property Teachers Network.